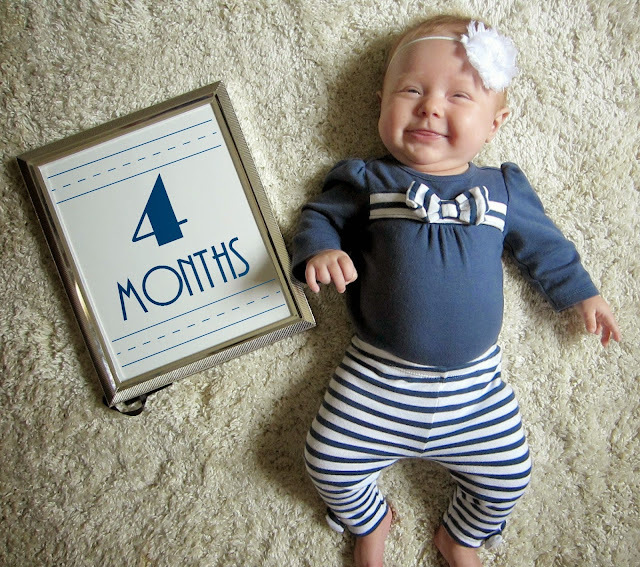 A few days late on here, but Lucy Jane is 4 months old!!! 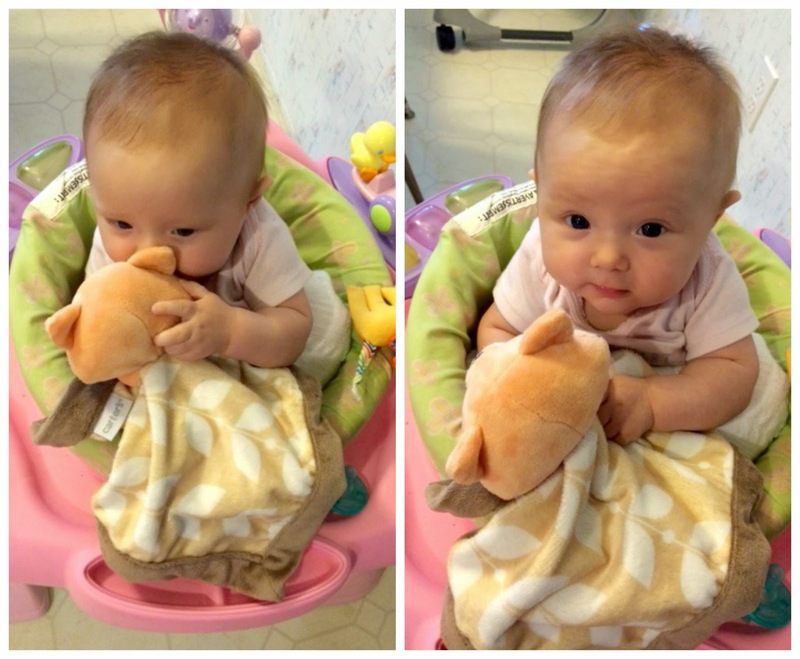 She recently started really "playing" with and showing interest in toys. And they all go straight to her mouth! I think she may be in the early stages of teething; her hands are almost always in her mouth and she drools constantly! She also loves bath time, watching whatever is going on around her and talking non-stop. 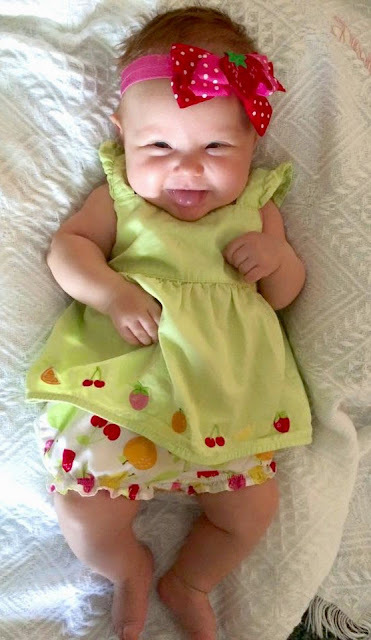 She lights up my life and I can't believe how fast she's growing. We love you, Lucy!